Eddie Murphy has over 3 decades of experience entertaining film-goers during which time he has made a lot good films (and some really bad ones). Here is my list of what are my 10 favorite films (specifically, his live action films, I’m not counting the animated films like Shrek) that he has starred in. This film is probably lowest on my list only because I was initially unsure of whether or not I should even include it, as I’m not sure if it’s technically an “Eddie Murphy film” if that makes sense? But his role is significant, and he’s really incredible in it, so here we go. Eddie plays Jimmy Early, a James Brown-ish soul singer from the 1950’s and 60’s, who reaches great heights in his career only to eventually see it and his private life spiral out of control due to excessive drug and alcohol use. Although he had played semi-dramatic roles before (notably in his very first film, 48 HOURS) this was his first full-on dramatic role and I, like many people, was surprised at how good he was. He totally should have won that Oscar. for Eddie playing seven different characters in it. 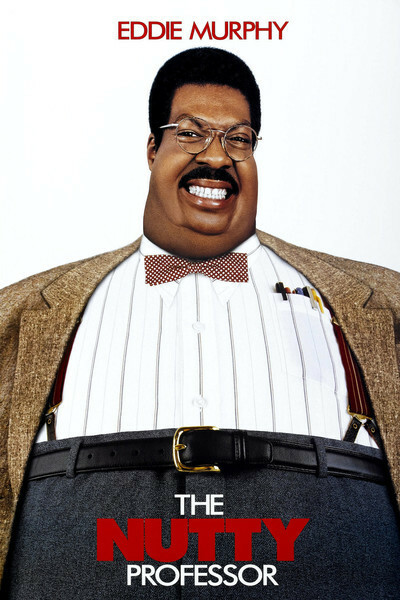 He stars as Sherman Klump, a morbidly obese college professor and as Buddy Love, Sherman’s physically fit alter-ego whom Sherman transforms into thanks to a special potion that he develops. In addition, Eddie plays Sherman’s father, mother, brother, grandmother, and famous fitness guru named Lance Perkins. While much credit should be given to the special effects department for their ability to make each of Murphy’s characters look distinct from one another, as well to director Tom Shadyac for how he was able to film the scenes in which Eddie’s multiple characters would interact with each other, Eddie himself deserves much praise for how he was able to imbue each character with his or her own individual characteristics. While the comedy does delve into some crassness on occasion, overall it is a good funny film with a decent underlying message about not judging people based on their appearance. Strangely, although I thoroughly enjoyed watching this film, to date I have never seen the 2000 sequel. None of the trailers looked funny to me, so I skipped it at the time, and haven’t even caught it on TV since then. Eddie was in full “Bill Cosby mode” when he made this family-friendly film. He stars as Charlie Hinton, a man who gets laid off from his advertising job and decides to open a daycare facility with his friend Phil (Jeff Garlin), who was also laid off. From there on most of the film is showing Eddie interacting with the various children who get enrolled at his company and hilarity ensues. This may seem like an odd choice for this list as it is considered a critical and commercial failure but, to heck with it, I love it! 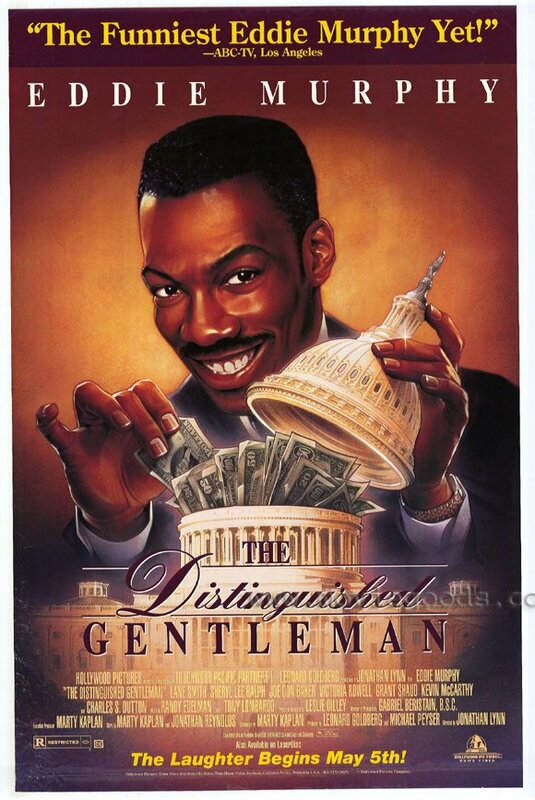 Eddie plays conman Thomas Jefferson Johnson who decides to run for the U.S. Congress just to use his seat to make money. Through improbably means he wins the election and proceeds to make himself invaluable to the corrupt Speaker of The House (Lane Smith) and sets about enriching himself through donations from various lobbyists. He eventually sees the error of his ways and attempts to turn a new leaf, only to be opposed by even more powerful political figures. This is a funny and still timely film. Written by Daniel Petrie Jr. and Danilo Bach, Directed by Martin Brest. Do I really need to say anything about this film? This was the one that officially launched Eddie to A-list movie superstardom and probably remains his most recognizable role. 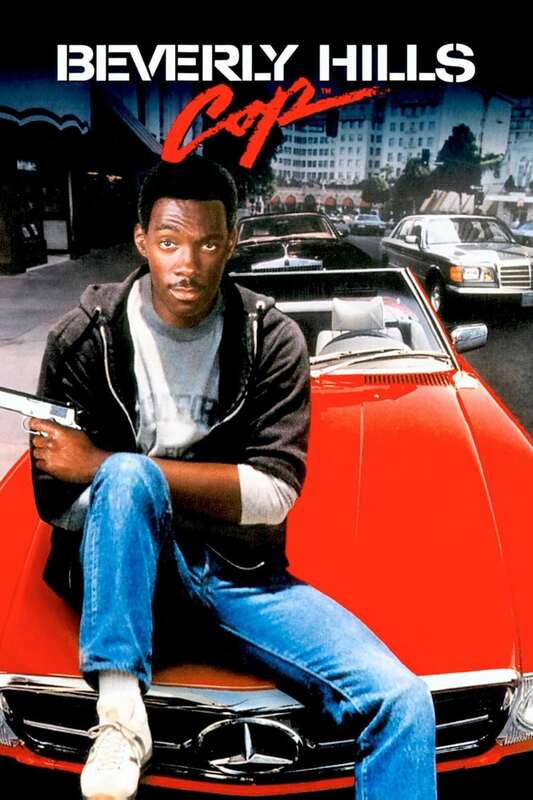 The contrast of Eddie’s Axel Foley character coming from the mean streets of Detroit to High-Class streets of Beverly Hills was played to perfection. Unfortunately, neither of the two sequels have lived up to the first film. I always thought the biggest mistake was in constantly bringing Axel back to Beverly Hills. I recall hearing how originally the first sequel was going to have him go overseas and work with Scotland Yard. I think that would have been another great fish-out-of-water tale. As it stands, there’s still been talk of either a Beverly Hills Cop TV series or possible 4th film, but even if that happens its unlikely to recapture the magic of the original. Like Beverly Hills Cop, this is another one that really doesn’t need much to be said. It’s just awesome. Eddie and co-star Dan Ackroyd are both perfect in it as two men from wildly different backgrounds are manipulated into…well, trading places. Seeing Eddie’s Billy Ray Valentine character adapt to New York’s High Society is a delight, and things really kick up in the third act when he and Ackroyd’s character team up to get revenge on the men who screwed them over. And we get to see Jamie Lee Curtis’ breasts! The first big-budget “romcom” with a predominately Black cast (which was actually considered controversial by some at the time), this film is now a genuine classic in Black cinema. Eddie is Marcus Graham, an unrepentant womanizer whose world gets flipped turned upside down when he meets his match in the form of Robin Givens’ Jacqueline Broyer. What happens when The Player gets Played? This film shows that. And with a stellar cast of newcomers and veterans, from Halle Berry to Eartha Kitt, I can’t praise this film enough. Currently, a TV sequel series is in development, which will focus on the daughter of Marcus and the son of Jackqueline. Although none of the principles are likely to return (maybe Givens), I look forward to checking it out. Y’know, strangely, I could have sworn that I once wrote and posted a full review of this film here years ago, but as I checked while writing this list I don’t see it. Must have been my imagination. Well, I really love this film. Eddie plays dual roles, he’s Kit Ramsey, an arrogant but paranoid A-list movie superstar, and Jiff Ramsey, Kit’s nerdy and niave twin brother. And as he’s shown in other films he’s able to make each character feel distinct from one another. Steve Martin plays Bowfinger, a struggling filmmaker who discovers Jiff and attempts to use him to star in a cheap movie he’s making that he wants to trick people into believing Kit Ramsey is starring in. It’s an utterly absurd premise, but it just works somehow. Other standouts in the film include Heather Graham as a young wannabe actress willing to anything, including using her sexuality, to make it, and Terrance Stamp as the leader of Mindhead, which is absolutely not a parody of the Church of Scientology. This film really should have been a much bigger hit than it was. If you haven’t seen it, do yourself a favor and check it out. I had no idea until just now as I was looking up info for this list that this film is actually considered a failure. Well, once again I have to be a rebel because I love this film to death. I sometimes think I should put it as a tie with #1 on my list, as I often go back and forth on which one I enjoy more. Whenever I come across this film playing on TV I invariably stop to watch it again. Eddie has said that he got the inspiration for this film after watching Morgan Freeman in The Shawshank Redemption which is one of my all-time favorite films, and these definitely feels like a somewhat comedic take on that film, without feeling like a rippoff. 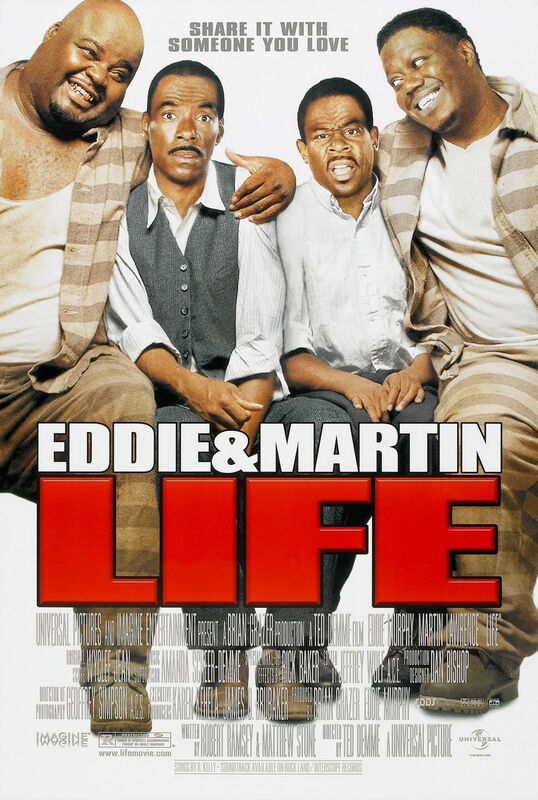 Originally set in the 1930’s, Eddie costars with Martin Lawrence as a couple of guys who get falsey arrested for murder while in Mississipi and sents to life in prison at a brutal prison camp. The film then proceeds the next 65 years as the to men adapt to their lives in prison, including several unsuccessful attempts to escape, and decade-long span where the two men refuse to speak to each other before reconciling, all ending in their deaths as 90-year old men (with a twist ending which I won’t spoil). It’s a comedy, but with just the right mix of drama. Written by David Sheffield, Barry W. Blaustein, and Eddie Murphy (and possibly Art Buchwald). The best. Before Wakanda we all wanted live in Zamunda, the coolest fictional African nation ever. This was the first film in which Eddie played multiple roles, a gimmick which he would employ in several films after this. His lead role as Akeeem, the Prince of Zamundo, who comes to America, specifically Queens, NY, to find possible wife who will love him for himself and not for his wealth and status. 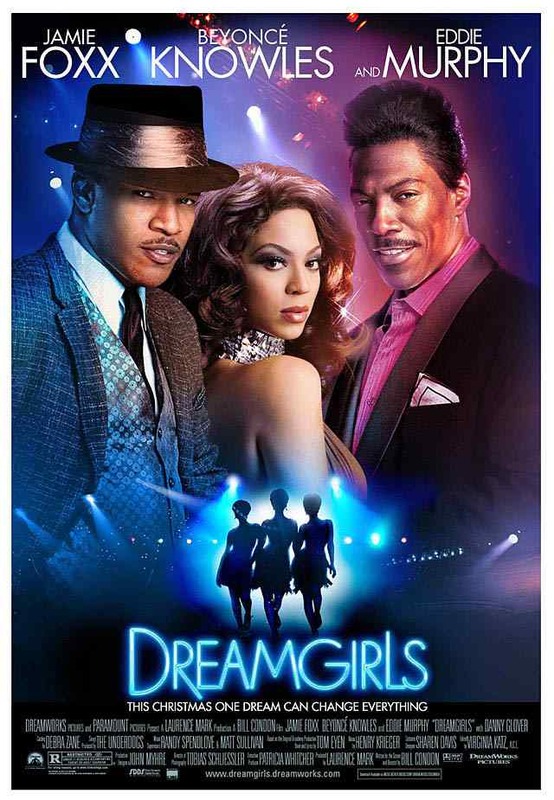 Co-star Arsenio Hall also plays several different roles, and the chemistry and comedic timing between those two is so good that it’s a shame that the two of them didn’t star in many more film together (or that Arsenio never took off as a movie star on his own). Sure, I can acknowledge that, despite the underlying progressive message of Akeem wanting a woman who is his equal, not subservient to him, there are some bits in the film that are problematic, but I just refuse to let that diminish my enjoyment of the film. And what sparked this list is the recent news they’re making a sequel! 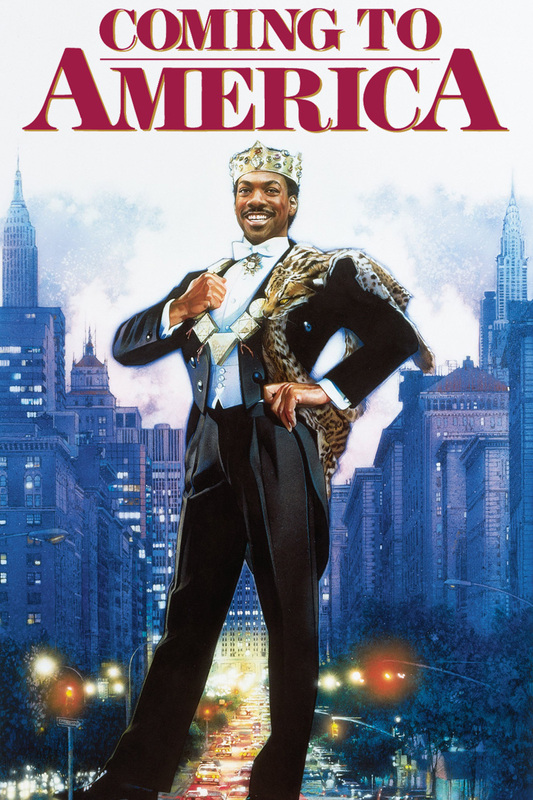 Now while I’m happy to hear that news, I must admit that the released premise has me concerned:In the sequel, Akeem learns about a long lost son, and must return to America to meet his unlikely heir to the throne of Zamunda. Huh?!? How could he have a long lost son in America when it was clear in the first film that he was not interested in any of the American women he encountered except for Lisa? It sounds like they’re planning to do some retconning here and I’m not sure I like the sound of that. But I’ll try to keep an open mind until the film is actually made and I see it. Full Disclosure: Eddie Murphy is from my hometown and was in the same high school class as my older sister. She got him to appear that their 10 year reunion in 1989 at the height of his fame. To this day I don’t know how she did it. I was late seeing coming to america until several years after its release. Definitely agree with your list here. 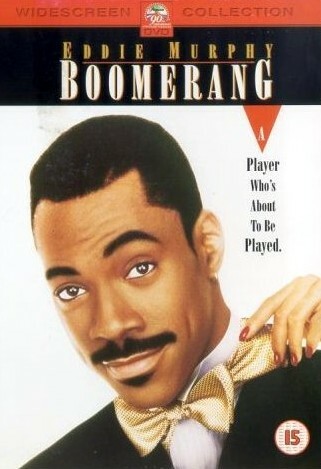 I just recently saw Boomerang and that movie and the soundtrack were awesome. 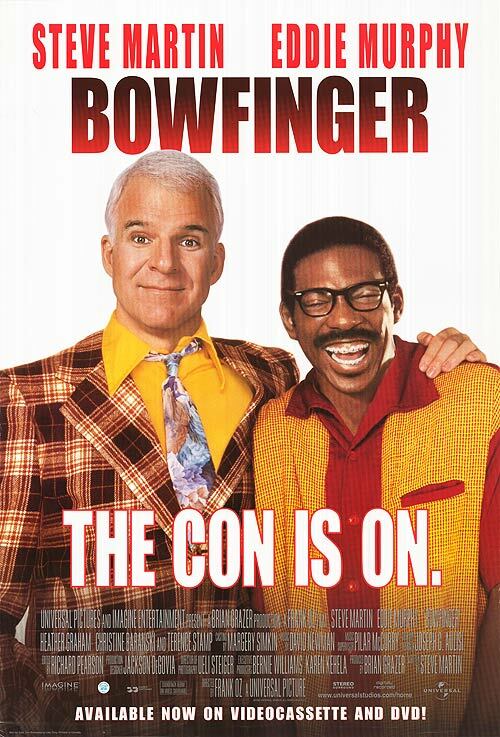 I never watched Bowfinger, The Distinguished Gentelmen, and Trading Places I watched all the others though. I have seen a lot of great Eddie Murphy movies! 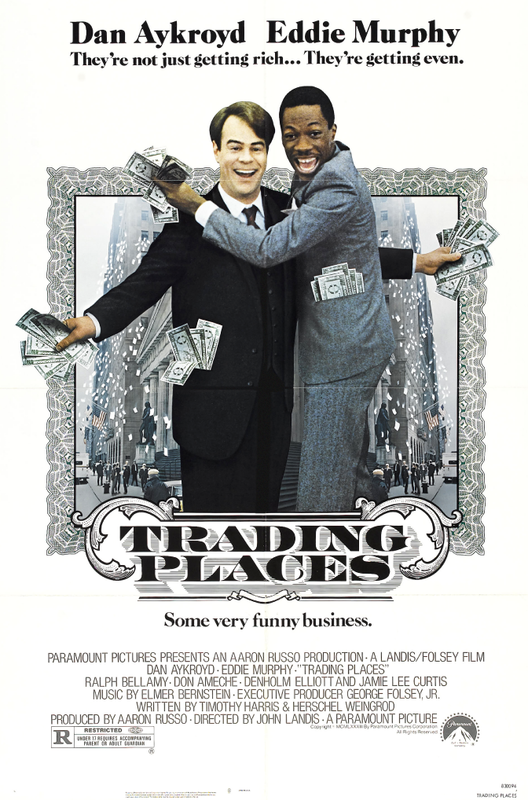 Trading Places and the Beverly Hill Cop’s movies are among my favorites. I love Eddie Murphy. Such a bummer he isn’t as active in the game as her used to be. Good list though. I agree with you 1000% especially with the number 1 pick.